And it finally lives !!! Are the wishbone/ control arm part no 31122614006 back ordered from factory ? That is correct, they went on backorder earlier this week. We do have a few pairs available if you need a set. Looking at the Street Suspension Kit, could you shoot me a price? it's been a while since i last asked, so i was wondering if the firewall insulation pad is still NLA? Hey Dave, can I get a price for a tii warm up regulator? Also, Happy New Years to everyone and thank you for helping us make 2016 an awesome year! We are currently working on updated pricing from BMW so quotes may be a little delayed. I will respond to everyone by the end of the day today! We're excited to announce that we finalized a deal to become the exclusive dealer for Classic Auto LED tail light kits for the 02. We have 2 sets in stock for the roundie cars and have a few more sets inbound. We hope to start a pre-order soon for square light cars. Due to an increase in material cost, the manufacturer has bumped pricing up to $385 a set. Fortunately we were able to negotiate introductory pricing for $329.50 per set for roundies, and $339.50 for square light cars. PM me here or email sales@blunttech.com to order! PM sent for amber turn signal LED set. 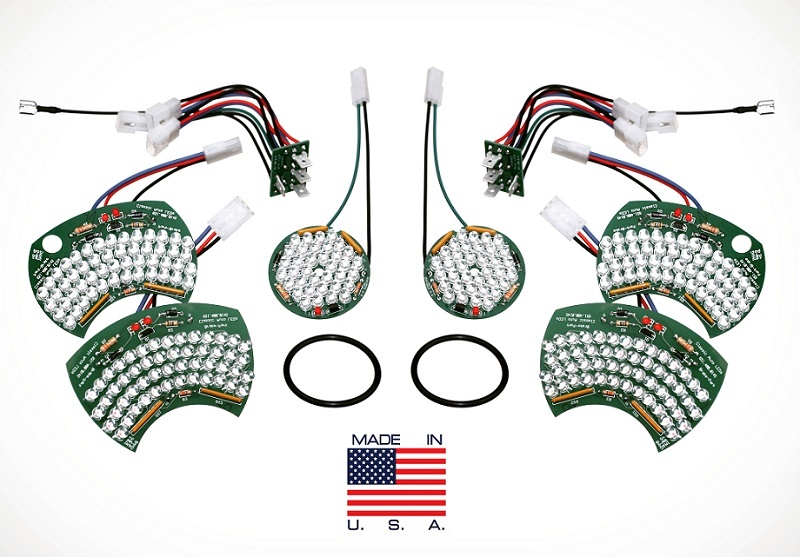 Is there an LED board for the reverse light? These do not include reverse lights. The manufacturer felt that it wasn't worth the additional labor/materials for the reverse lights. Please PM me or email us at sales@blunttech.com to order or if you have any questions.